Bipedalism (the ability to walk on two feet) is a core, if not the core, human characteristic. It allowed us to carry supplies and loved ones, and honed our hunting abilities. Millenia of community construction unfolded along the path of our feet, and this influence persists. Walkability is a common term in a planner’s vocabulary, an oft-cited goal in comprehensive plans, and a physical aspect of our communities attracting local families and tourists to Maryland’s streamside paths and main streets. We are comfortable addressing walkability objectives using design, land use, and infrastructure. Complete streets and shorter blocks draw pedestrians into engaging strolls along the sidewalk. An integrated mix of residential, commercial, employment, and entertainment uses make that short walk much more appealing, not to mention convenient. Traffic calming measures and pedestrian-centric intersections mute the threat posed by person and vehicle interaction. These are and will remain proven and effective planning strategies enhancing walkability. But what if the people never show up? What good is a wide sidewalk, or even better, one with outdoor seating at your favorite restaurant on a bright spring afternoon, if no one is there to use it? Planners can’t neglect the biggest part of the walkability equation – the walkers. 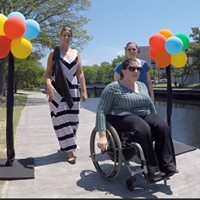 The Maryland Department of Planning (Planning), in partnership with the Maryland Department of Health, Wicomico County, the City of Salisbury, and other local, regional, statewide, and national community partners, are striving to improve walkability in Wicomico County. The focus is on the people, and it’s being introduced through a new program called WalkWicomico. It defines itself as “a group of community partners committed to improving walking in Wicomico County” with the mission to “encourage people to walk by improving walking conditions and increasing opportunities to walk.” Another essential aspect of humanity is our sociability. We are both more productive and more engaged when others, particularly those we trust and share community with, join us. By combining our need to be social with our desire to interact with the world around us, our streets are revitalized and we increase our healthy activity. The programs also eagerly encourage citizens in wheelchairs or assisted by other devices to participate. The drive for sociability and motion are undaunted by disabilities. 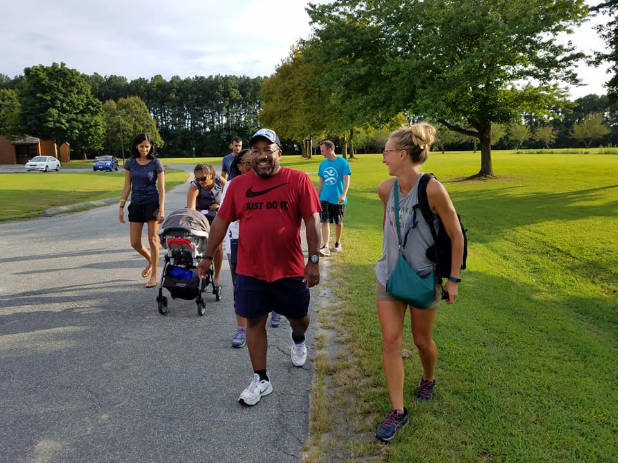 In partnership with the Maryland Department of Health, Walk2Connect established regional and local efforts in Western and Central Maryland, as well as elsewhere on the Eastern Shore, to promote WalkMaryland. These groups set schedules for community walks, provide walking and other trail maps, link walkers to health information, and establish forums for participants to examine their communities and propose changes for improving the pedestrian experience. Find a walk close to you on the project website. Walking is a healthy activity accessible to Marylanders of all ages, and one that slows us down; allowing us to notice the intricacies and beauty of our built and natural environment to a degree unattainable in a car, or even on a bike. When we share that experience with others, we build community, mutual support, and quite simply, joy. Imagine yourself in your car, driving home from work. You stop at a red light and glance in your rearview mirror. You notice a large group of people walking across the intersection; a much larger group than you typically see. It causes you to pause, open your window, and ask one of the walkers who they are with. She points to her WalkWicomico logo and explains why you should get out of your car and join them. You drive home, put on your walking shoes, and head out the door. Place and people, the two central components of walkability. Planning hopes you take the time this Thanksgiving to take a walk and work off some of that turkey.